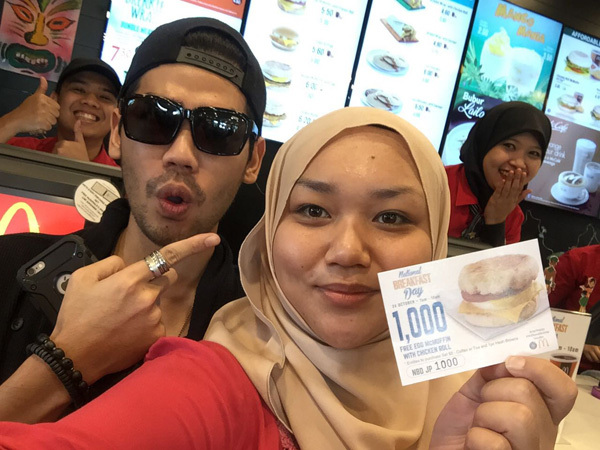 What a successful event yesterday at McDonald’s outlets Gadong and Jerudong Drive-Thru yesterday!! All the 2,000 Egg McMuffin with Chicken Roll burger were all done by 9ish am. I made a two hour visit to Gadong outlet and watched the crowd trickling in. What I am impressed is the queue control. So you won’t see loads of crowd rush especially when collecting coupons. 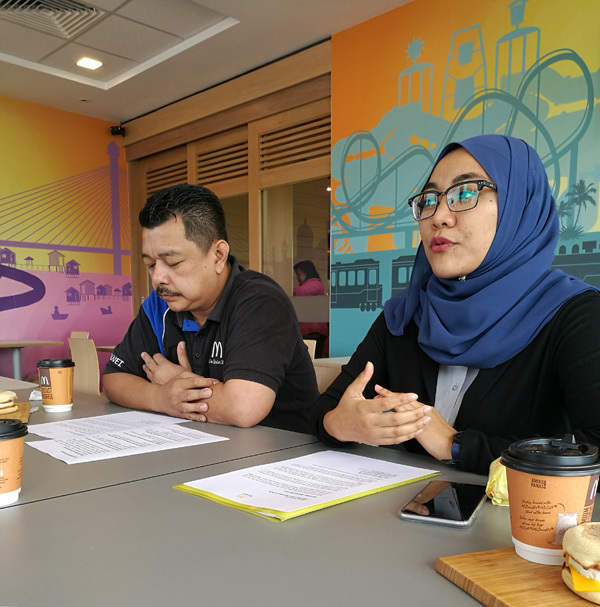 This was part of the National Breakfast Day hosted by McDonald’s and Brunei is one of the latest country to be part of this initiative. There were a lot of youth, students and even families that showed up yesterday. It’s also a good reminder to all that McDonald’s is open from 7am for breakfast. 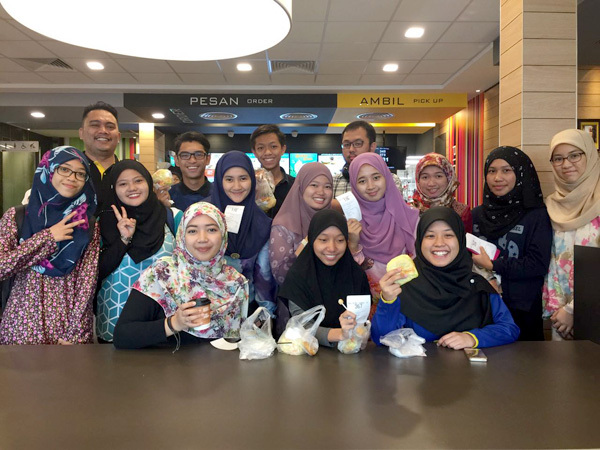 According to Noor Hafila Salleh, Marketing Executive of McDonald’s Brunei. 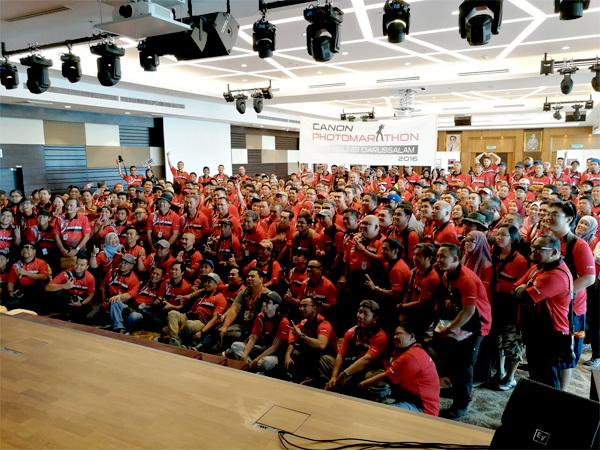 Roughly almost 400 participants joined the Canon Photomarathon 2016 hosted by Interhouse Company and it was held at Serambi Batil Ballroom at the Brunei Handicraft Centre in town. I kinda like the venue here and it’s the first time I actually experienced the atmosphere here. There will be three themes involved in this year’s competition and it’s a tradition to have three themes which lasts two hours each. 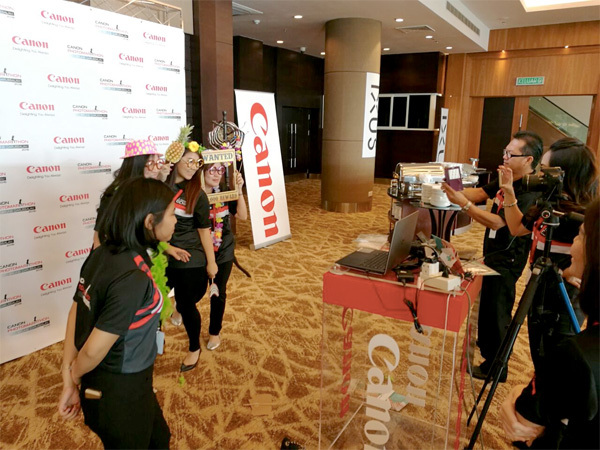 The Grand Prize will be the photo clinic in Japan which is worth USD5,000. There will be also prizes for each of the themes. The first prize will be a EOS 80D 118-55mm, the second prize will be the EOS M3 EFM 18-55mm and the third prize is the Pixma MG7770 AIO. 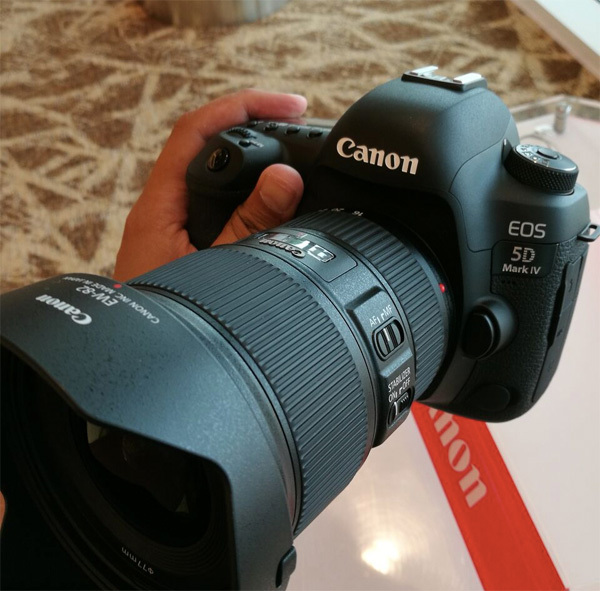 I also get the chance to feel the new EOS 5D Mark IV… It’s superb and lighter than my 3 year old camera, the 5D Mark III. 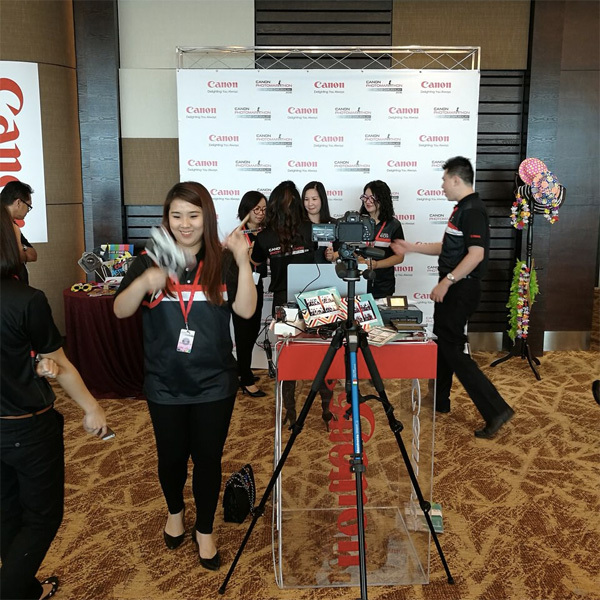 The Canon’s newest EOS 5D Mark IV takes image quality to the next stage indeed. It also delivers a 4K performance.. Nooiceee.. It shoots at 7 frames per second and it has a built in wifi and in-built GPS. Let’s see if I’m ready for an upgrade. We shall see. 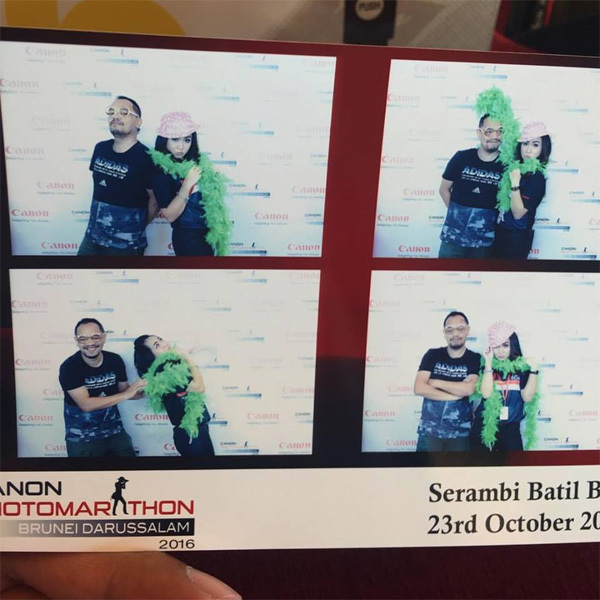 I shall be posting the results of the Canon Photomarathon 2016 soon too. 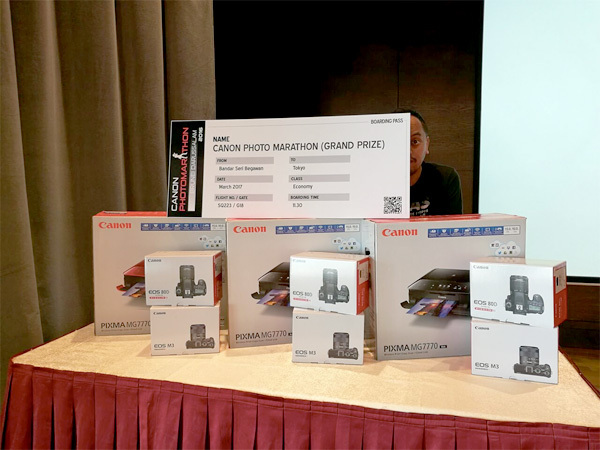 Who will win the prizes sponsored by Canon? 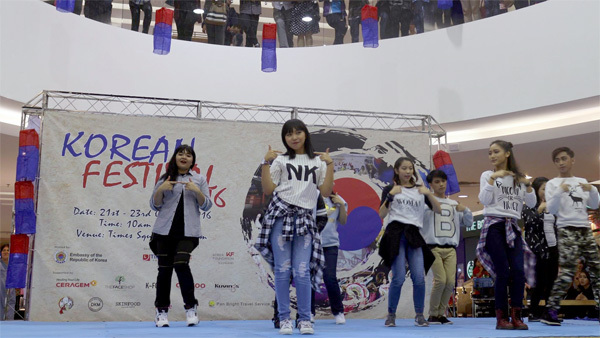 From sour Kimchi and delicate sand art by “Mr Chai” to neck-breaking numbers by popular Korean group K-Tigers, the Korean Festival 2016 kicks off with a high note during its launching last Friday. Today (Sunday) will be the final day. 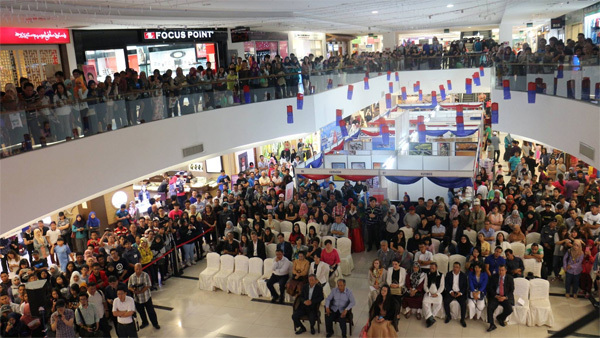 Held at the Times Square Shopping Centre, Berakas, the event was marked with a ribbon-cutting ceremony that was graced by the Minister of Youth, Culture and Sports Yang Berhormat Pehin Datu Lailaraja Major General (Rtd) Dato Paduka Seri Hj Awg Halbi Hj Mohd Yusof. 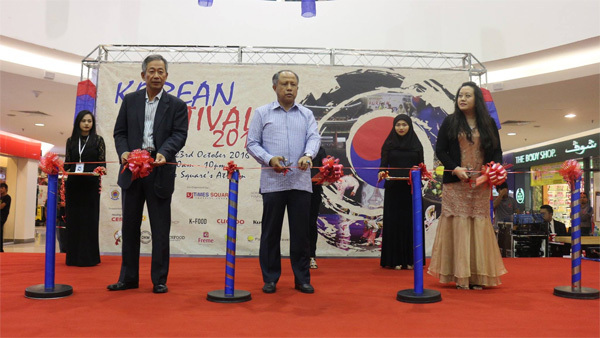 Present were the Ambassador of the Republic of Korea to Brunei Darussalam Cho Won Myun and Times Square General Manager Amal Majidah Hj Suhaili. During his welcoming remarks, Cho shared such events will help to facilitate cultural exchanges between two countries. “This will further strengthen the friendship between our two countries,” he added. 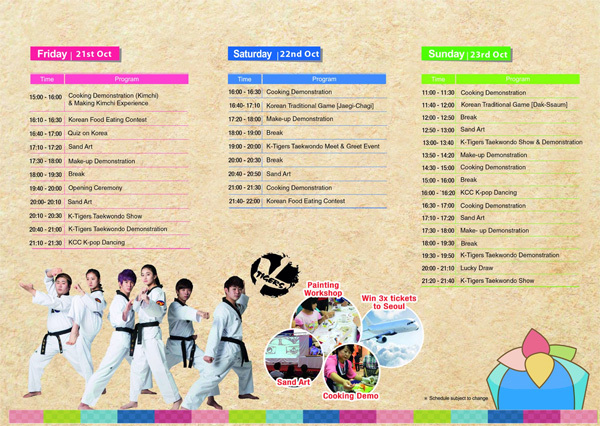 The festival was co-organised by South Korean Embassy, Times Square and Korea Foundation, and will end this Sunday. 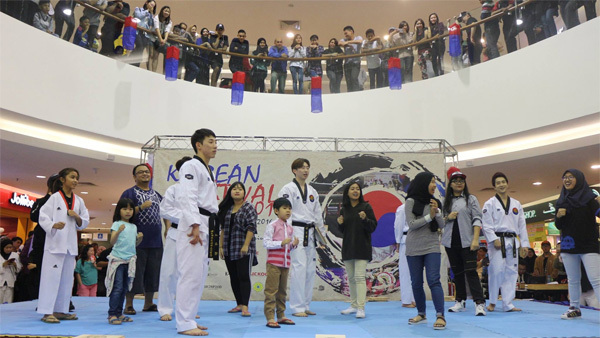 On top of that, the public is welcomed to drop by at the ground floor atrium of the complex and participate in various activities such as the lucky draw that grants a total of four tickets to Seoul, Korea. 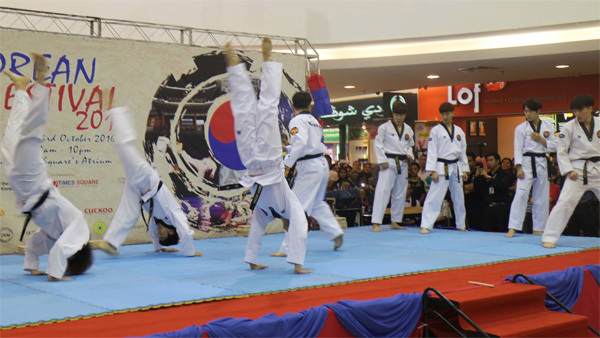 Other activities include cooking and make-up demonstrations, Korean traditional games, K-pop dancing performance by members of Korean Cultural Club, Korean food eating contest and quizzes. 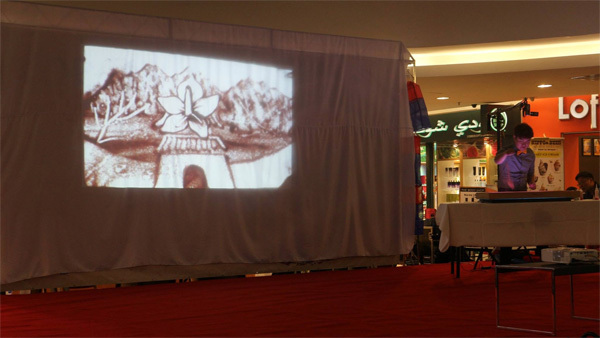 Text by Ikhwan Salleh of The Brunei Times and images courtesy of Times Square Shopping Centre Facebook Page. 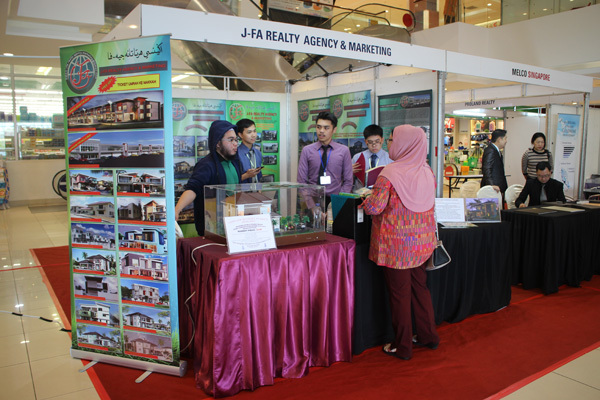 If you’re interested in investing in Malaysian properties, head to HomeCity Property and Management’s (HomeCity) booth during Sentral Property Roadshow, which starts this Friday, to check out the latest property projects in the neighbouring country. 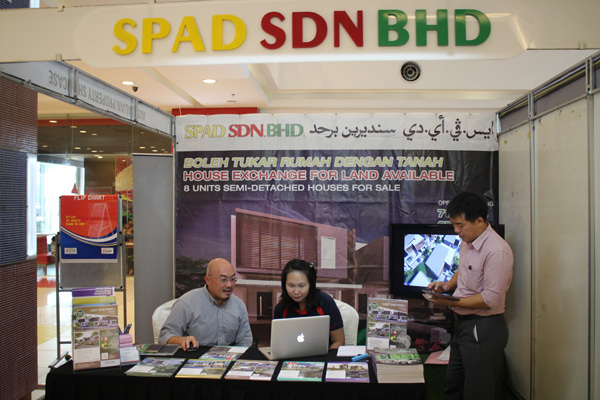 The real estate company, which specialises in marketing, listing, renting and selling and managing properties, will be at booth A8 during the roadshow held at Sentral Shopping Centre’s (KBSentral) atrium. 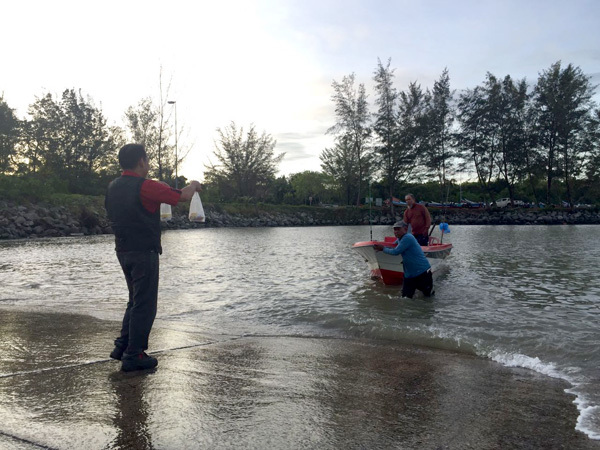 One of the properties that the company will highlight is Harbour City @ Pulau Melaka, a project by leading property developer in Melaka, Hatten Group. Expected to completed by 2019, the multi-award winning development will integrate Harbour City Resort Suites on top of six-level oceanic-themed mall and 500,000 square feet of indoor and outdoor theme park. A cruise liner-themed hotel (Harbour City Suites) and also an international chain hotel within the development. 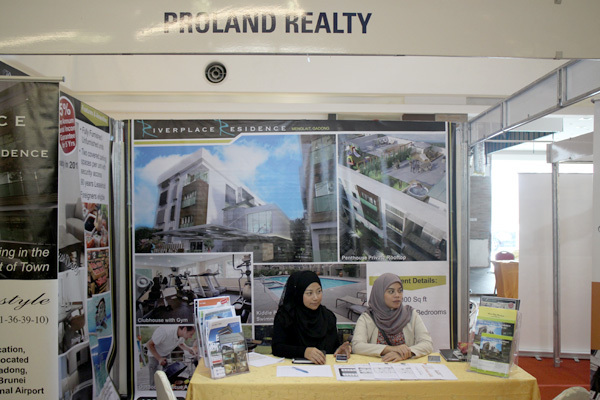 “This is a good time to invest in the property in Melaka due to the state’s booming tourism and growing economy,” said Marketing Manager of HomeCity Amanda Yang. She also added that with upcoming accessibility projects such as Melaka Gateway, which will feature a cruise terminal and also the construction of the KL-Singapore high speed rail that will stop by Melaka, the state is a favourable place to invest. 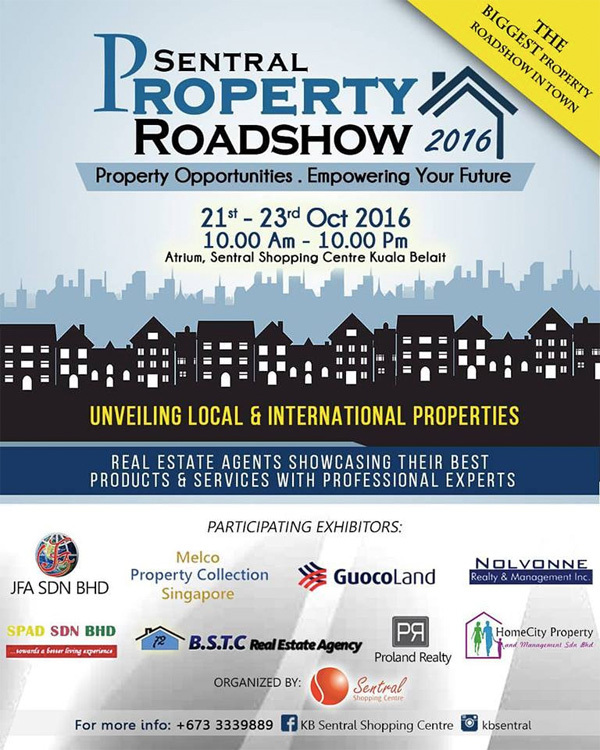 Those who are interested can check out HomeCity’s booth to find out other investment benefits during the roadshow and the last day is Sunday, 23rd October. 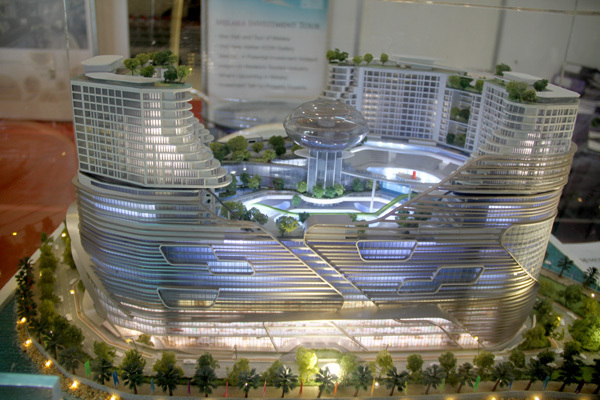 Representatives from Harbour City’s developer Hatten Group will be present to assist. Text courtesy of Hafiizah Maideen of The Brunei Times. 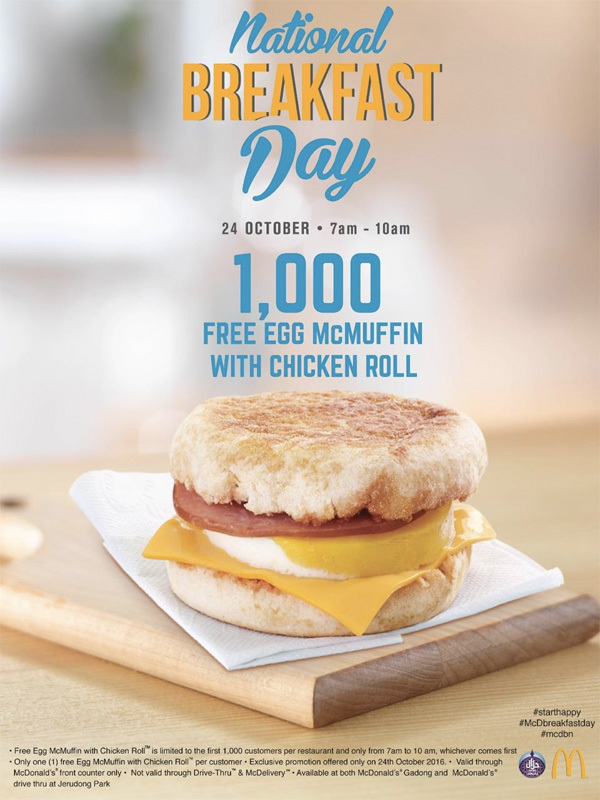 Wanna enjoy a FREE Egg McMuffin with Chicken Roll this coming Monday? Read the post to find out more. Guess what? 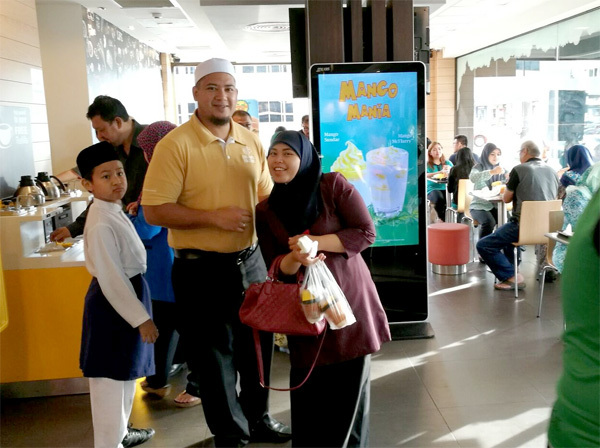 McDonald’s Brunei will be organizing its very FIRST National Breakfast Day 2016. So what does that mean?? FREE FOOD.. Well, in a form of burger that is. Apparently this is a yearly activity of worldwide McDonald and only selected countries are organizing it. Indonesia, Malaysia, Singapore, Manila, India, Korea Thailand, Middle East, South Africa, Taiwan and many more.. and of course, for the first time ever, Brunei Darussalam. 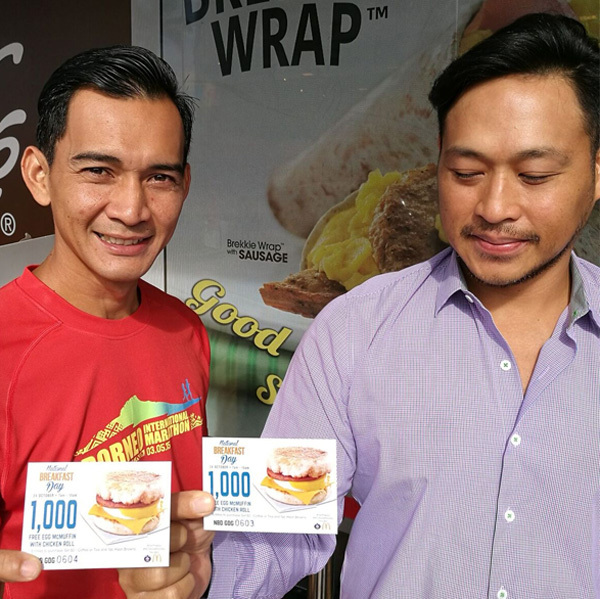 So this year, Brunei McDonald’s will be giving away 2,000 Egg McMuffin with Chicken Roll nationwide. 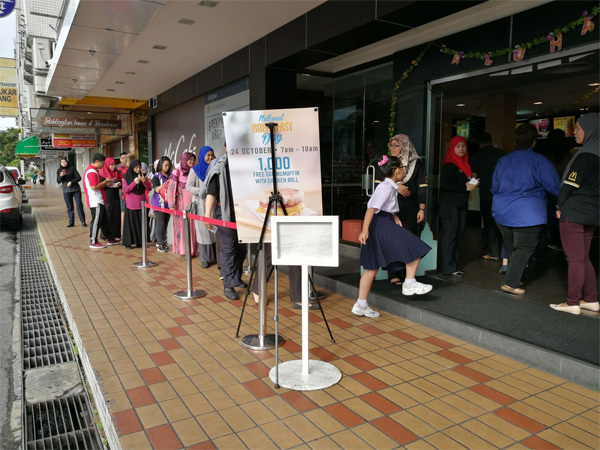 This means 1,000 pieces at McDonald’s Gadong and the 1,000 pieces at McDonald’s Jerudong. It will be held on Monday 24th October 2016 from 7am to 10am. 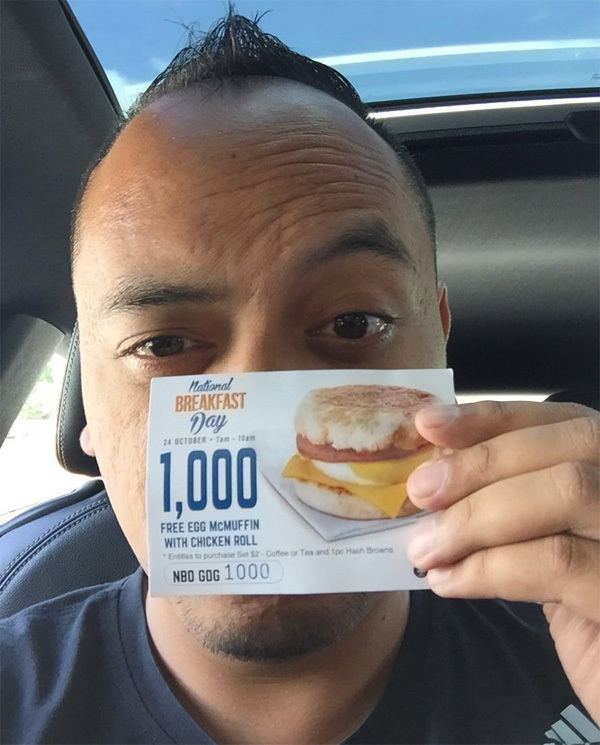 I’m pretty sure that it will be a big hit and it will run out before 10am. 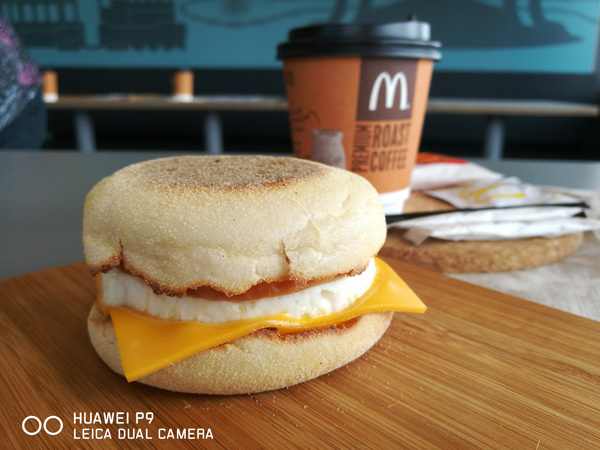 Just be mindful that this deal is only available at McDonald’s counter and not valid on drive-thru and McDelivery services. 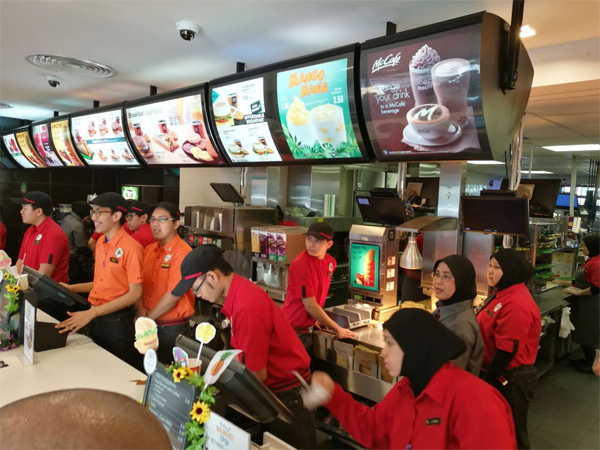 How it works is the staff of McDonald’s will distribute coupons and it’s applicable one coupon per person. It will start at 7am and it will be a queueing system (first come, first serve). The other great thing is if the customer wants to upgrade their meal with a hash brown and coffee/tea for only BND 2. Only the coupon holder is entitled for the $2 upgrade promotion. Jati Transport Sdn Bhd introduces 3 new SUVs from Mercedes-Benz today at their Gadong showroom. 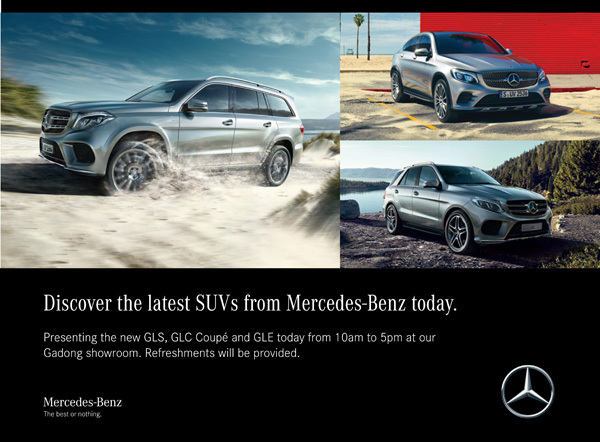 The new facelift GLS, GLE and the all-new GLC Coupé. The facelift strengthens the leading position of the GLS in its segment with a modified exterior, even more quality in the interior plus innovative technology for enhanced ride comfort and safety. The large-size SUV appeals to customers who are looking for impressive spaciousness for up to 7 people and a modern take on luxury. On display, the GLS 400 4MATIC AMG Line lends the exterior an even more dynamic and athletic character. It includes the eye-catching AMG bodystyling with AMG-specific front and rear aprons, wheel arch extensions in the vehicle colour as well as 53.3 cm (21-inch) AMG light-alloy wheels. The powerful V6 petrol engine in the GLS 400 4MATIC AMG Line with its responsive exhaust gas turbocharger delivers 245kW (333hp) and a maxikmum torque of 480Nm. 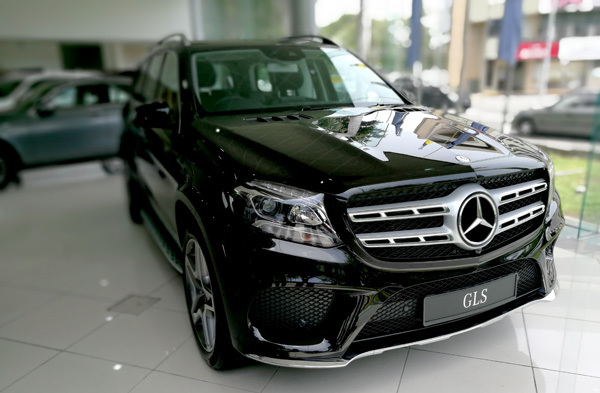 The facelifted GLS also fitted as standard with the 9G-Tronic 9-speed automatic transmission which further improved electrohydraulic control unit, together with optimised engine and transmission software, results in more dynamic gear changes and even greater shift quality. Mercedes-Benz has thoroughly revised its best-seller in the SUV segment. The highlights of the GLE facelift include considerably more appealing front and tail ends and extensive measures which make new benchmarks with regard to emissions and drive system possible. The GLE 400 4MATIC AMG Line truly underlines the dynamic and athletic appearance of the car in the showroom. The AMG Line package comprises, among other things, special front and rear bumpers in the distinctive AMG styling and 50.8-cm (20-inch) AMG light-alloy wheels. The V6 biturbo petrol engine in the GLE 400 4MATIC AMG Line develops 245kW (333hp) and a peak torque of 480 Nm. size SUVs impresses with its brand-typical safety, modern assistance systems and an especially sporty-dynamic character.The as-standard sports suspension as well as more direct sports steering, DYNAMIC SELECT and 4MATIC permanent all-wheel drive with 9G-TRONIC nine-speed automatic transmission combine effortlessly superior ride comfort with decidedly sporty agility. 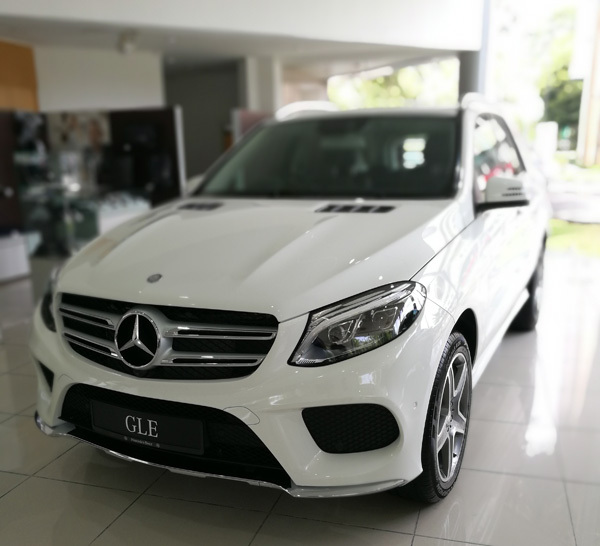 At the launch, the GLC 250 4MATIC Coupé is powered by a 4-cylinder turbocharged pertol engine which delivers an output of 155 kW (211 hp) and a peak torque of 350 Nm. 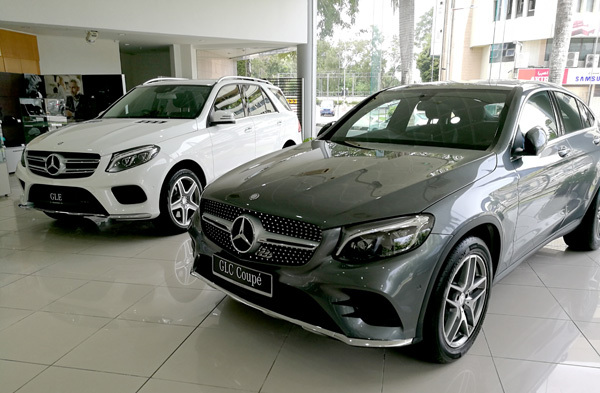 So do visit the showroom at Gadong and check out the SUVs from the Mercedes-Benz line. 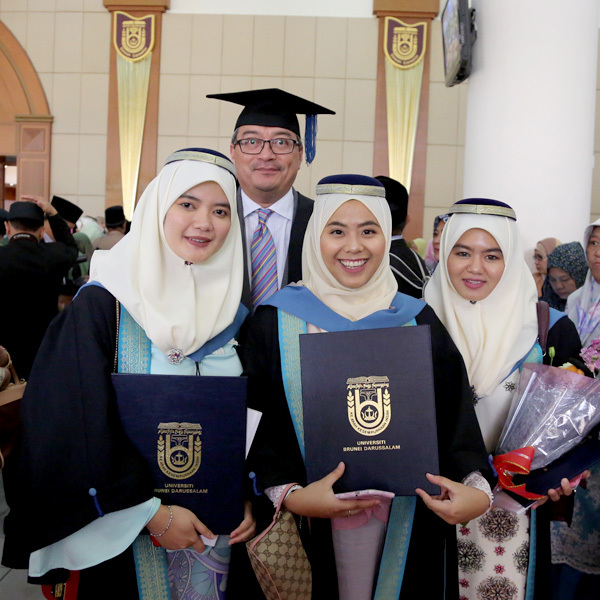 His Majesty Sultan Haji Hassanal Bolkiah Mu’izzaddin Waddaulah, the Sultan and Yang Di-Pertuan of Brunei Darussalam and Chancellor of UBD, presented certificates to 921 PhD and bachelor’s degree graduates during the morning session of the UBD 28th Convocation ceremony last weekend. 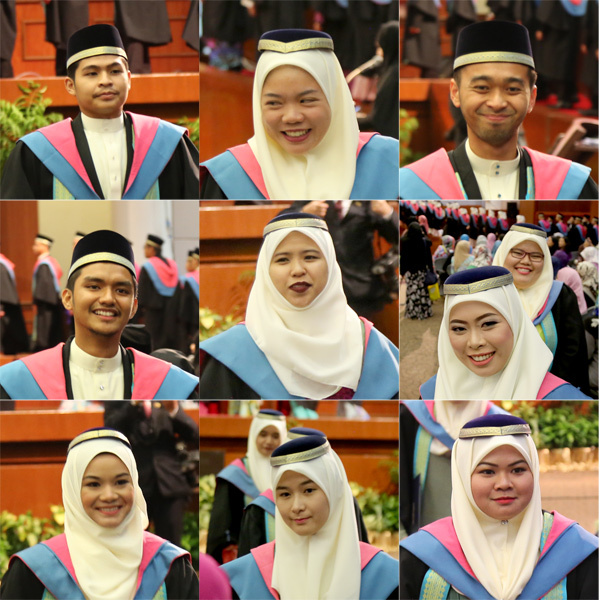 There were about 1,477 graduates. 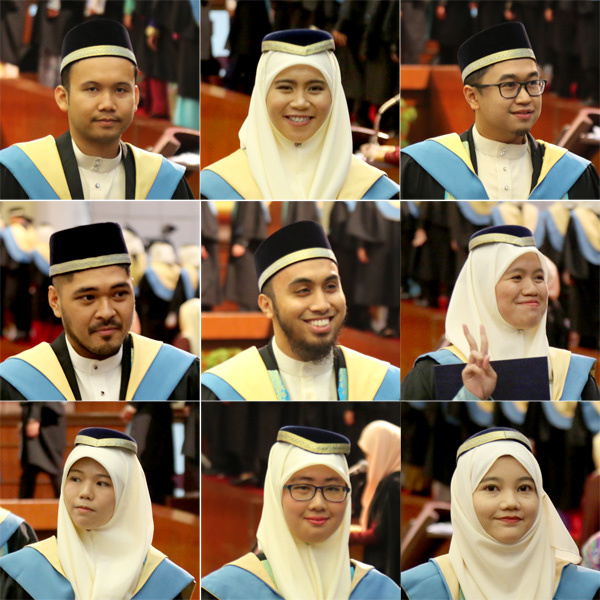 Graduates this year — the fourth batch of UBD’s GenNEXT programme — included 28 PhD graduates, which also surpassed last year’s record of 20. 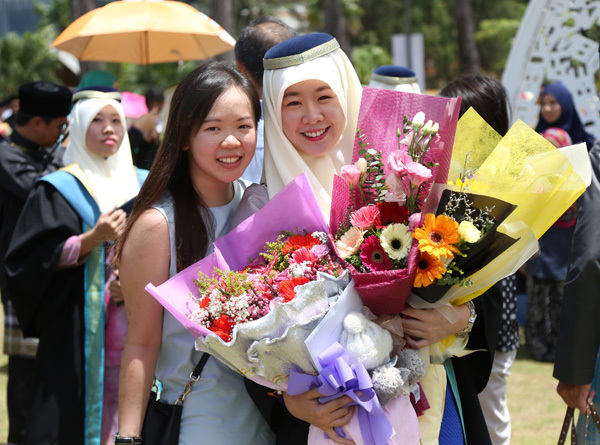 According to the press release, there were 481 master’s degreeholders, 893 bachelor’s degree graduates, 62 diploma recipients and 13 advanced/graduate diploma recipients. 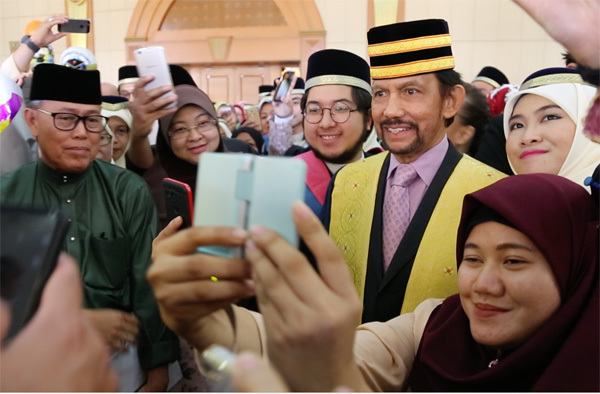 His Majesty Sultan Haji Hassanal Bolkiah Mu’izzaddin Waddaulah, the Sultan and Yang Di-Pertuan of Brunei Darussalam, has approved the establishment of the Centre for Lifelong Learning (C3L) at Universiti Brunei Darussalam. 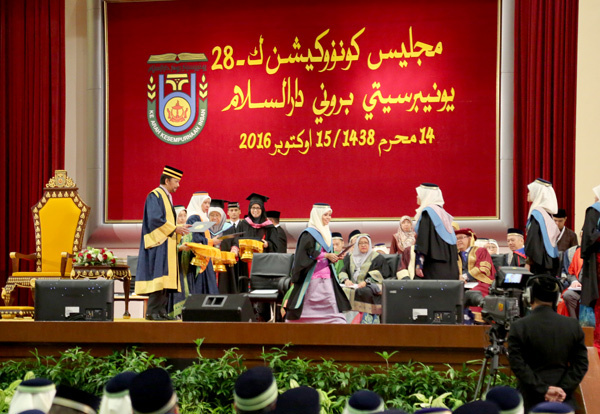 Serving as a catalyst for higher-level teaching and learning, the Sultan said C3L will encompass continuous and professional education. His Majesty believed it will also contribute significantly to national development and a knowledge-based society and economy. 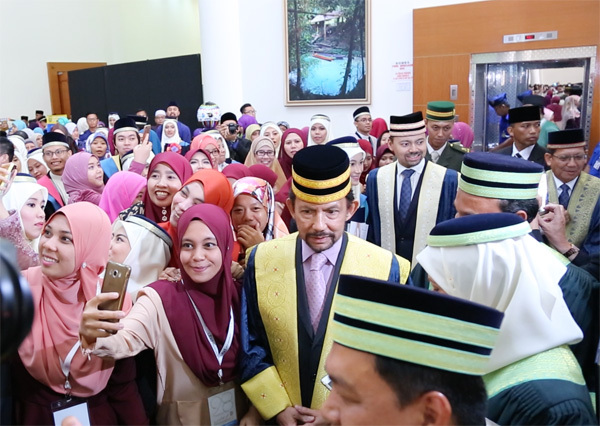 The Sultan said C3L was among the initiatives introduced by UBD in a bid to provide flexible learning opportunities to the public. 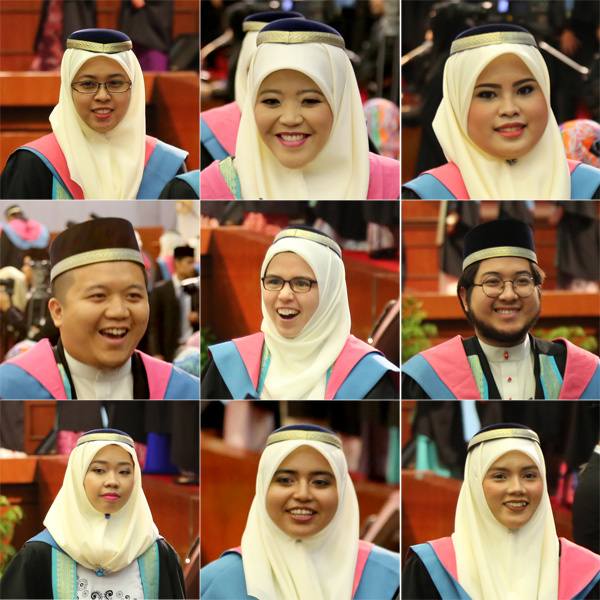 UBD Vice-Chancellor Datin Dr Hjh Anita Binurul Zahrina Pehin Orang Kaya Laila Wijaya Dato Seri Setia Hj Awg Abdul Aziz said that this year’s convocation included UBD’s first cohort of Bachelor of Engineering in Chemical and Process Engineering graduates. 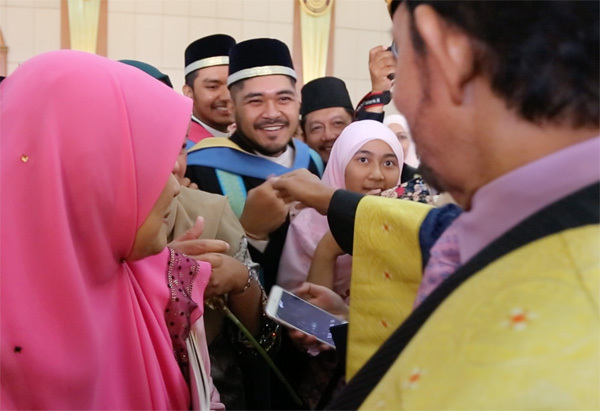 She said the programme — which had been carried out in collaboration between UBD, China’s Zhejiang University and Hengyi Industries — had seen students carrying out their studies and industrial placements over 18 months in China. 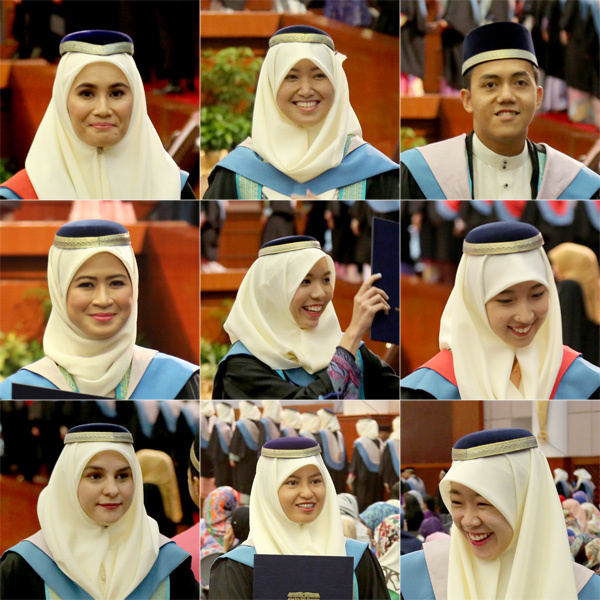 Congratulations to all the graduates and now it’s time to convert your knowledge and experience into the real world for the betterment of our country. When you are climbing a mountain there is a summit , in life all you find is an endless wall. You can take the easy way and slide endlessly into the darkness or take the hard way and climb into the eternal light. Either way, there is no end to how far you can fall nor how high you can climb – Dananjaya Hettiarachchi. Image taken of Dananjaya Hettiarachchi’s Facebook page. He’s known as “Dan” by many and I’ve been following his journey on IG and Facebook and even on the internet. Though he was a champion two years ago, he still is one of the most sought speakers around the world. He has been traveling around the world and his next date will be Brunei before he heads off to Amsterdam (Holland), Hiroshima (Japan) and Richmond (USA) to cap off the year. Awesome!!! If you meet him in person, only one word to describe him – charismatic (and super cool). 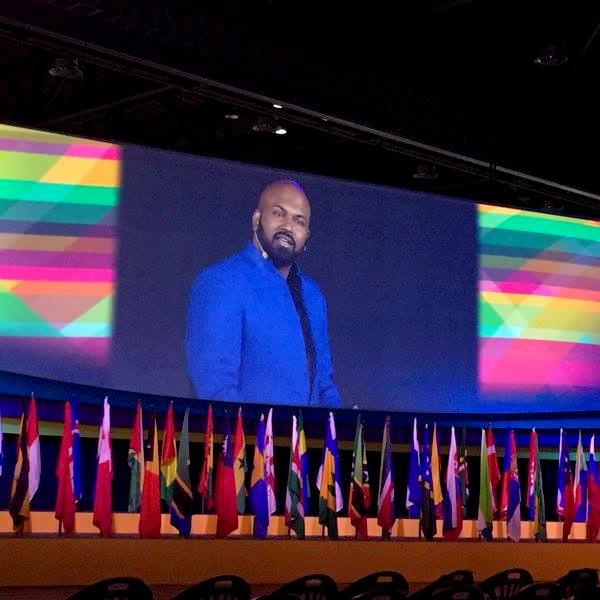 He has been in a journey of toastmasters or public speaking for 10 years. He loves to inspire the thousands in bettering their communication skills and he is very popular in schools. The Brunei Conference committee is very privilege to have his presence in Brunei on 28th October to 29th October. We are certain that his presence and his keynote speech will have a positive ripple effect on the audience and hoping for more youth to attend the conference. If you are interested, please reach me at 8677773. Tickets are available and the prices are BND 120 and BND 35 for secondary students or BND 50 for tertiary/university students (29th October, Saturday session 9am to 4pm), BND 50 for the Speech contest (30th October, Sunday 8am). If you are interested also in attending the dinner, it will be BND 50 for Friday, 28th October and BND 50 for Saturday, 29th October. 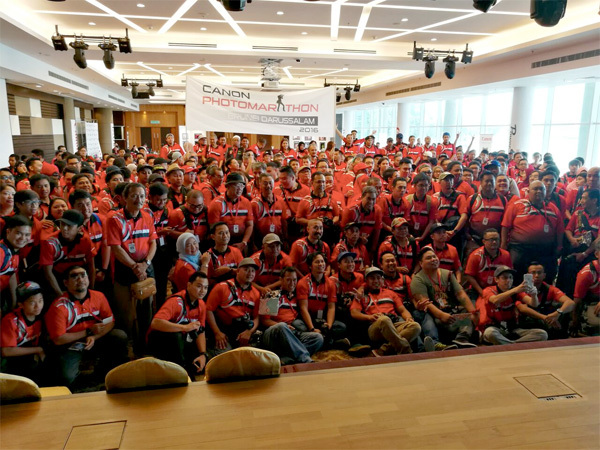 This is slated to be the biggest toastmasters event ever hosted in Brunei Darussalam because we have three world champion speakers – Willie Jones, Dan the Man and reigning champion Darren Tay. So yes, sometime to look forward to and the target audience will be the youth, working class, teachers, parents, students, professionals, government officials and entrepreneurs. A big thank you also to the sponsors, partners and supporters of this event – Brunei Shell Petroleum, Progresif, Brunei Gas Carriers, Brunei Tourism under the Ministry of Primary Resources and Tourism, RYS Entertainment, Armtrix Enterprise, NBT, BIG magazine, AKK Design, The Coffee Bean & Tea Leaf, Rizqun International Hotel, Aiking (03), Royal Brunei Catering and many more. I would also like to acknowledge the Ministry of Home Affairs for approving this event. So once again, If you are interested, please reach me at 8677773 and you can read more details here on our official website. 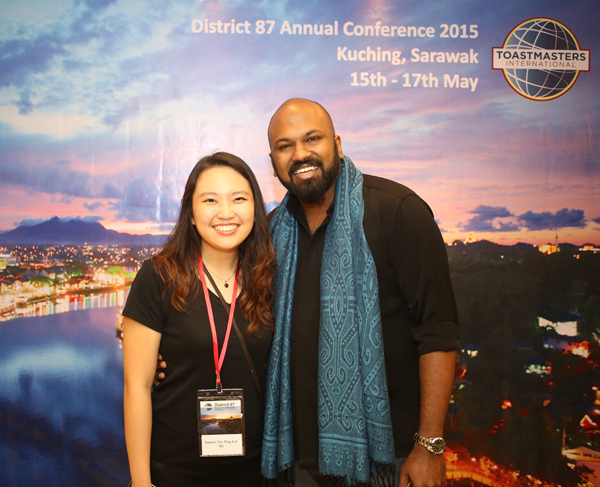 My photo opp with Dananjaya last year in Kuching. 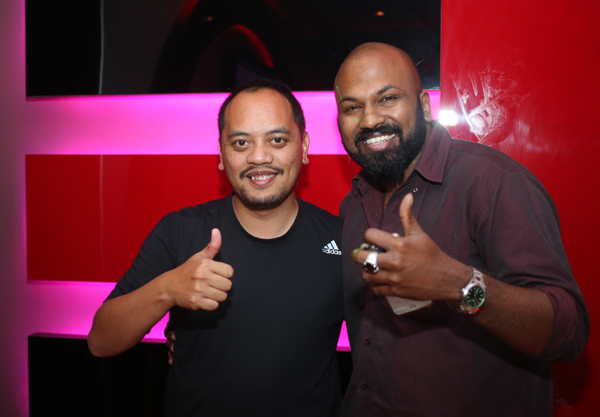 Another champion making its way to Brunei is Darren Tay. 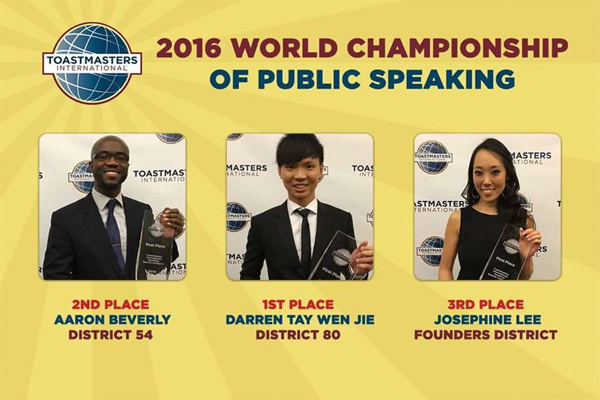 Back in August, Darren Tay, was crowned the 2016 World Champion of Public Speaking in Washington DC and his story revolved around bullying. 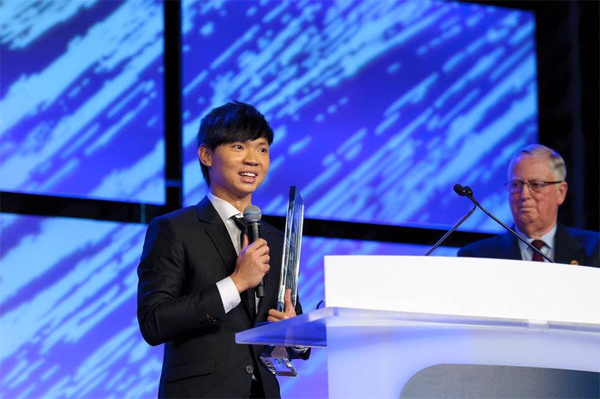 ’Im still amazed the fact that the past three winners of the World Champion of Public Speaking have come from Asia. Amazing feat!! First we have the charismatic Dananjaya Hettiarachchi (from Sri Lanka) who won in 2014 and he will be invited for the Brunei Conference in October. The following year was Mohd Qahtani from Qatar in 2015. Looking at his resume, I’m pretty impressed for a man of his age (only 27) to achieve many things. According to his website, he is a prolific public speaker, debater and professional trainer. He founded the Public Speaking Academy in 2009 and has led the Academy to scale great heights in the school and corporate domains; including the successful organization of the annual National Public Speaking Competition since 2010. 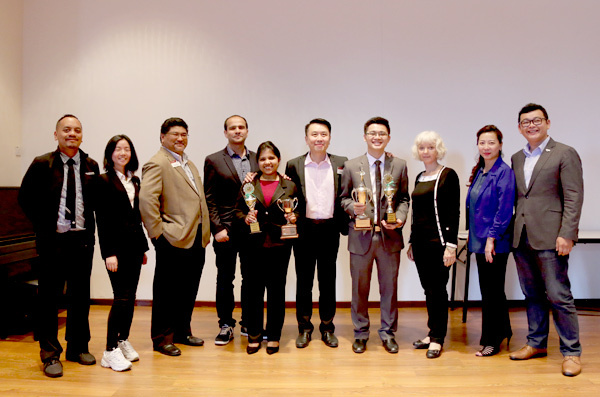 He even won the Toastmasters International District 80 Speech competition in 2009, 20012 and 2014 for Speech Evaluation and Table Topics. Amazing feat indeed. 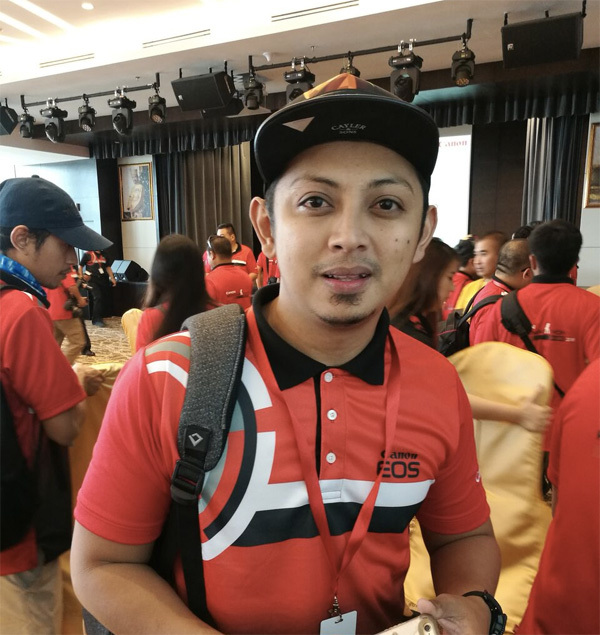 He has also published his best-selling public speaking guidebook “Express to Impress” in 2012 and looks forward to subsequent publications in the future. So it’s a done deal that he will be delivering a workshop in Brunei this October. If you are interested, please reach me at 8677773 or email at bruneiconference2016@gmail.com and you can read more details here on our official website. Darren Tay receiving the champion award last August 2016 at Washington D.C.
That’s not all. 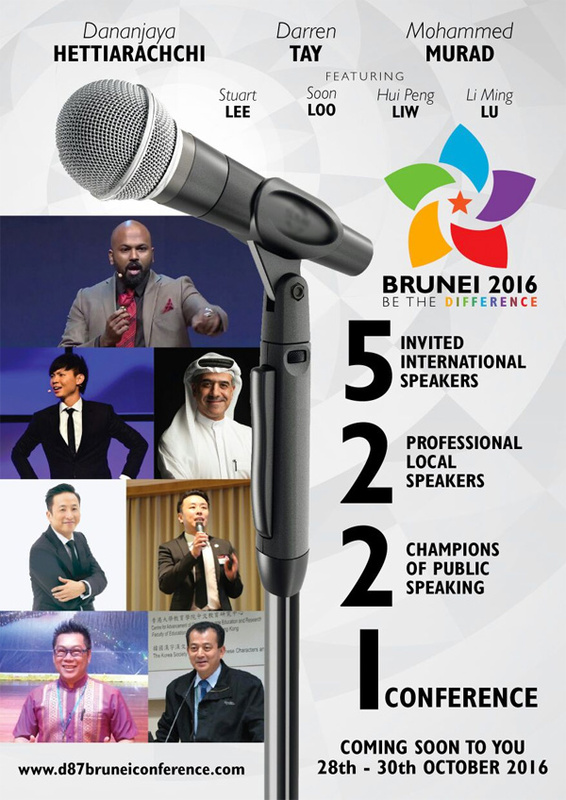 In conjunction with the Brunei Conference 2016, we will be hosting the final leg of the Humourous Speech Contest and Speech Evaluation Contest on the final day of the Brunei Conference, slated for Sunday, 30th October. 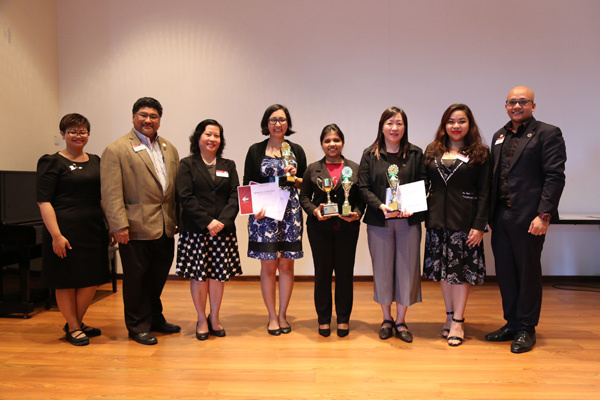 Another awesome news is that two of the finalists are members of Brunei Toastmasters (Area K6) as they won their rights when they became champion in Division level two weeks ago at Kota Kinabalu. 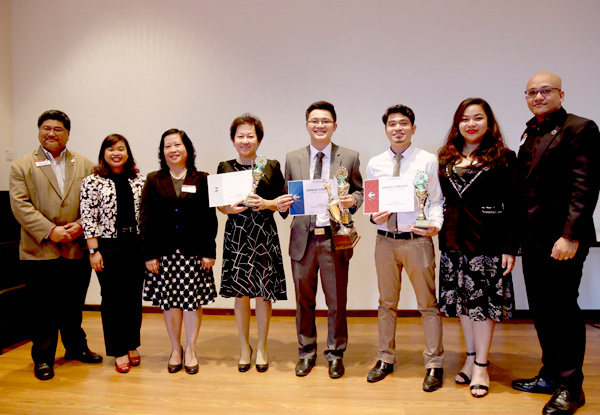 Allen Ang, a representative of The Brunei Advanced Speakers’ Club, won for Humourous Speech Contest. With his winning speech ‘My Dream Job’, he told hilarious tales of the hardship of being a salesman and shared silly situations that induced fits of laughter from the audience. 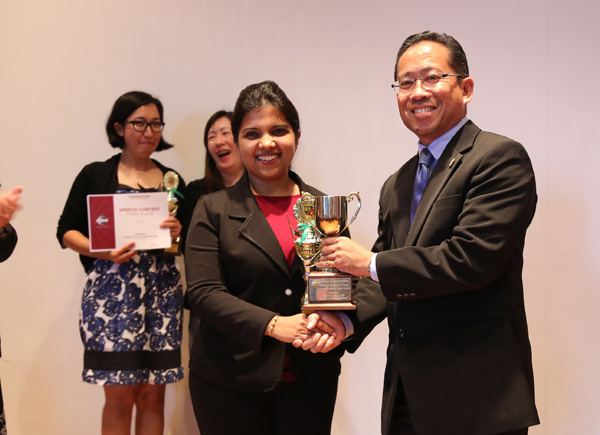 Pooja Shivanand, a member of Brunei Speakers’ Club, won in the Speech Evaluation Contest. She is one of our talented evaluators in Brunei toastmasters and it’s no surprise she made it this far. 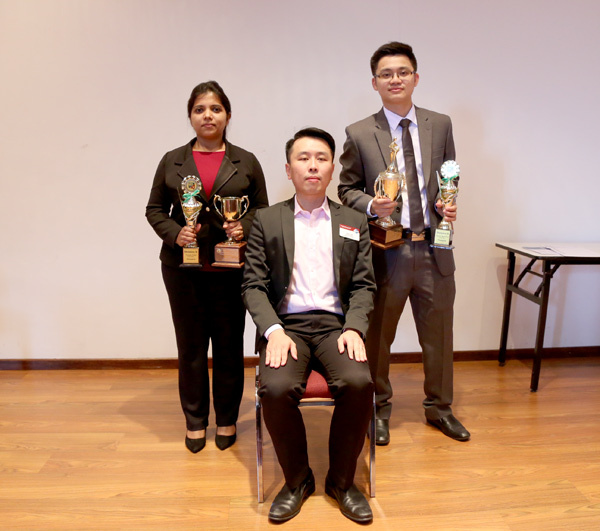 So both contestants will have to fight it out again in Brunei Darussalam to vie for the District Champion in Humourous Speech and Speech Evaluation. The District 87 Semi Annual Conference in Brunei will also see World Champions in Public Speaking conducting educational workshops on Communication and Leadership Skills, with networking opportunities at the Gala Dinner. The conference, open to the public, will take place from October 28 to 30. For more information, visit www.d87bruneiconference.com. Allen Ang won Humourous Speech Contest on Division level for the second time. He won it two years ago, also in KK. 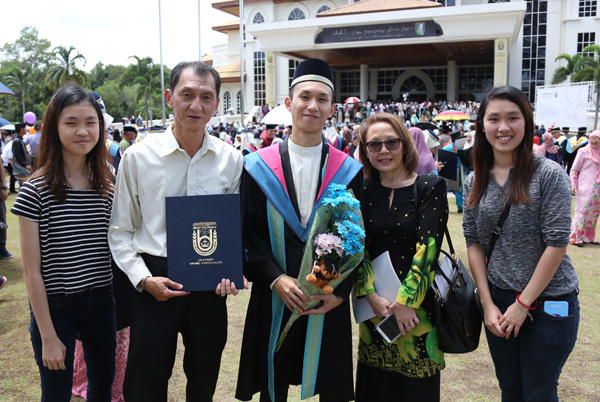 Now he will compete in the final leg in Brunei Darussalam. 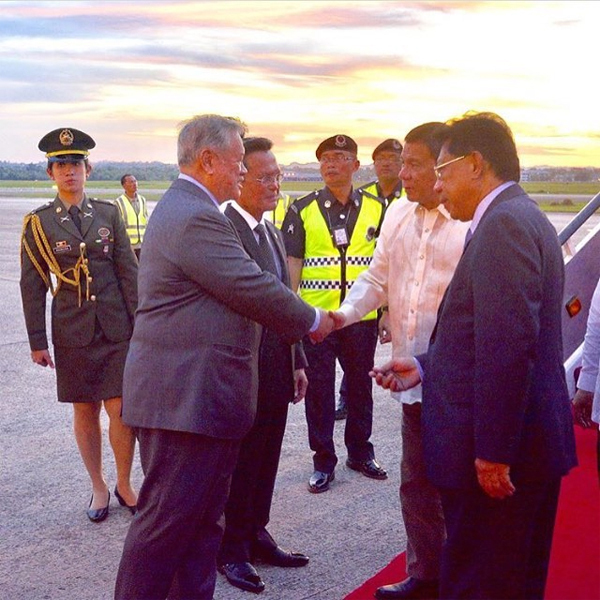 Rodrigo Roa Duterte, the President of the Republic of the Philippines upon arrival and being greeted by the Minister of Foreign Affairs and Trade II and The Minister of Home Affairs yesterday. 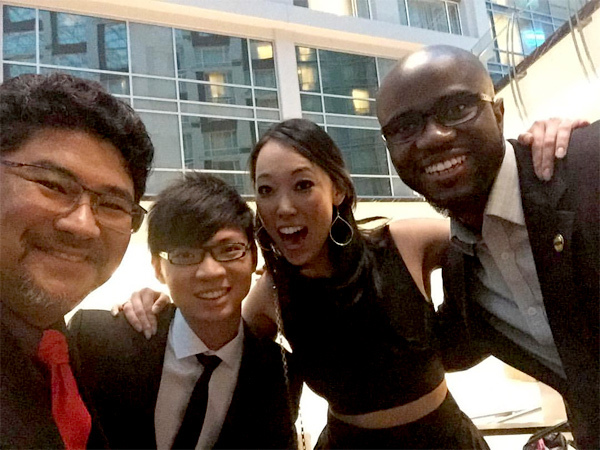 Image courtesy of Vincent Hong. Guess who’s in town? 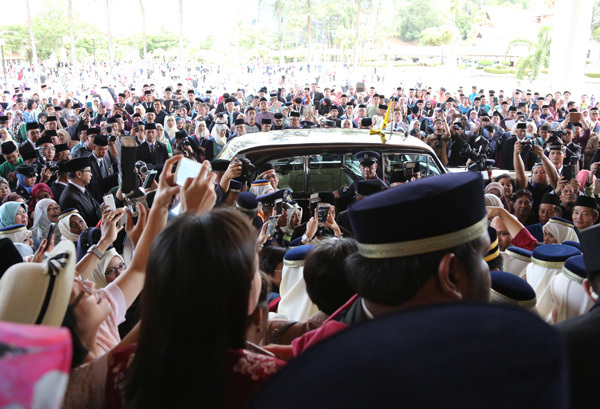 It’s the President of the Republic of the Philippines Rodrigo Roa Duterte who is on a three-day state visit to Brunei Darussalam. 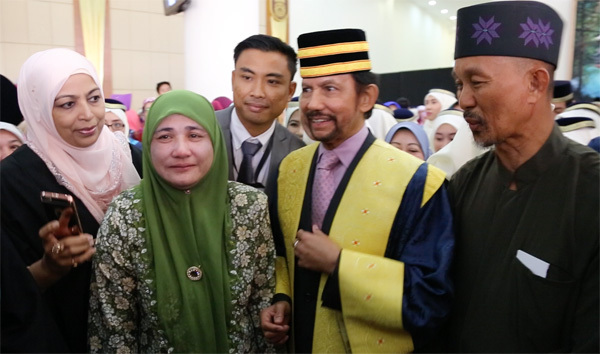 He arrived yesterday afternoon and he was greeted by the Minister of Foreign Affairs and Trade II and The Minister of Home Affairs at the Brunei International Airport. Last evening, the president scheduled a session for a meet and greet with the Filipino community at the Indoor Stadium. 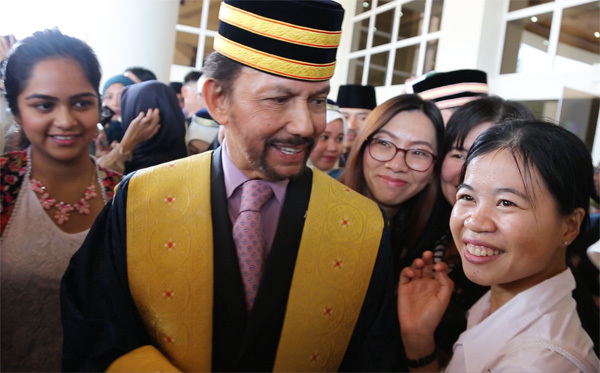 Today he will have an official welcome at the Istana Nurul Iman before an audience and bilateral meeting with His Majesty Sultan Haji Hassanal Bolkiah Mu’izzaddin Waddaulah ibni Al-Marhum Sultan Haji Omar ‘Ali Saifuddien Sa’adul Khairi Waddien, Sultan and Yang Di-Pertuan of Brunei Darussalam. A state banquet will follow suit in the evening. Brunei’s relations with the Philippines has been encouraging and fruitful. The state visit hopes to strengthen the diplomatic relations between the two countries. The president will then head to China on 18th October. 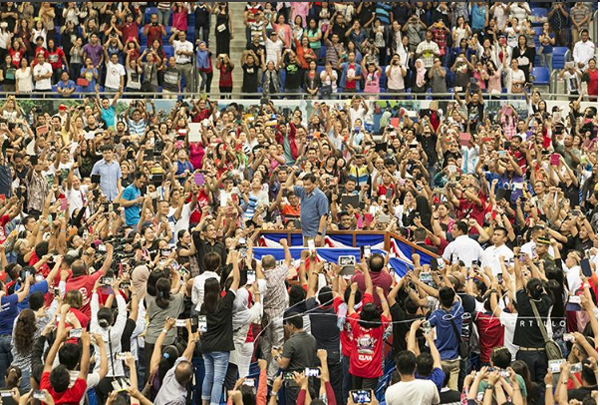 Duterte receiving strong support from the Filipino community residing in Brunei Darussalam at the Indoor Stadium last evening. 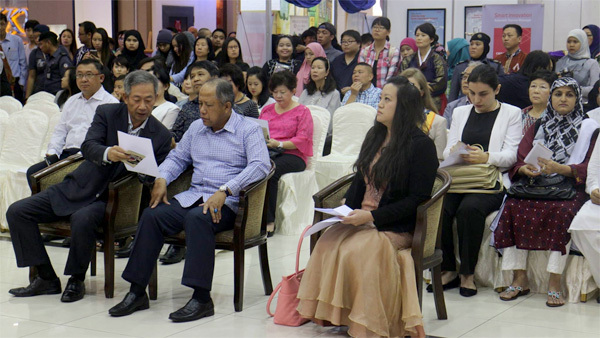 Image taken by Rudolf Portillo of The Brunei Times. 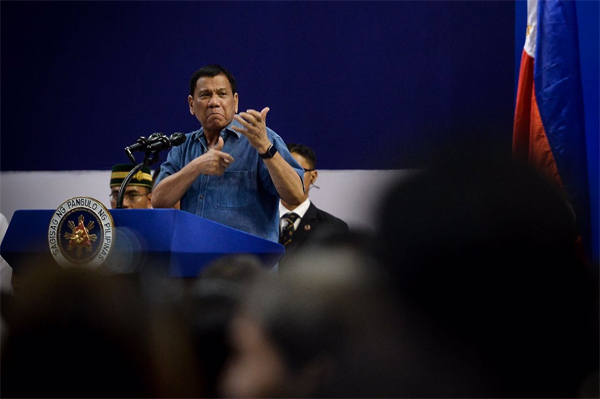 Duterte with a gesture during his remarks yesterday. 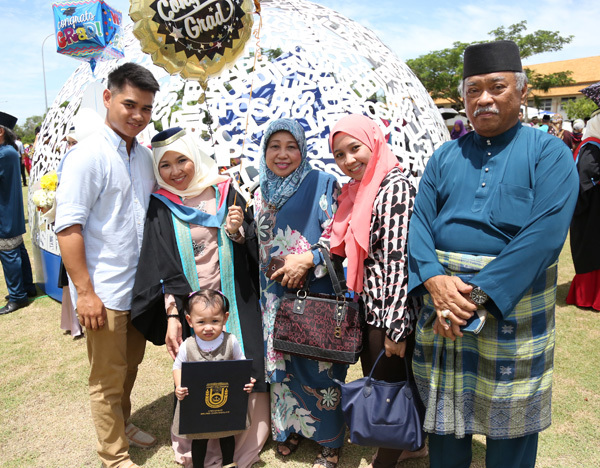 Image taken by Dean Kassim of Borneo Bulletin. Check out the 9th generation of the Audi 80/A4 series- the all new Audi A4, now with quattro® all-wheel-drive. The new Audi A4 features numerous premium technologies which set higher benchmarks for its class. Elegant design blends with an innovative control concept, and lightweight construction meets new, efficient drivetrain solutions. The A4 is also ahead of its peers in terms of infotainment and assistance systems. As a result, Audi drivers can look forward to a truly high-tech experience ― an innovative synthesis of technology and aesthetics. 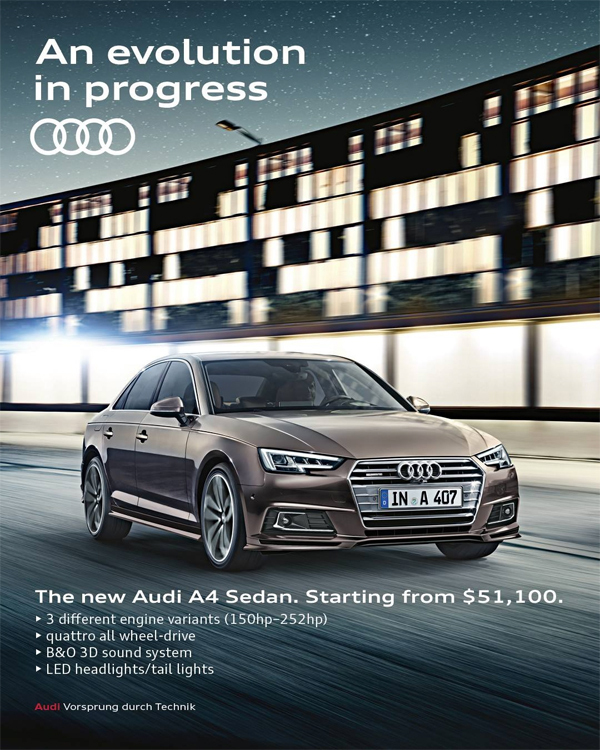 Now available at the Audi Kiarong showroom the new Audi A4 also achieves top ratings for efficiency. It boasts the best-in-class drag coefficient of just 0.23 and has shed as much as 120 kilograms (264.6 lb) in weight compared with the predecessor model. Three economical four-cylinder engine variants delivering up to 185 kW (252 hp) also play a major part in this efficiency gain. The Audi A4 is also available here for the first time with the high-efficiency gasoline engine 2.0 TFSI ultra developing 140 kW (190 hp) which uses an innovative combustion process and has been designed based on the rightsizing principle. The economical power unit reduces the NEDC consumption of the new A4 Sedan to 4.8 litres per 100 kilometres (49.0 US mpg) and CO2 emissions to 109 grams per kilometre (175.4 g/mi). The new Audi A4 comes equipped with an extensive selection of improved technologies making their first appearance in this model, such as LED headlights, Audi Drive Select with Efficiency mode, sports suspension with damping control, fly-by-wire gear shifter and a top of the line Bang & Olufsen 3D Sound System. In terms of safety, the new A4 has been awarded the highest ratings from both the Euro NCAP and IIHS safety tests. Premium features will include multicoloured ambient lighting, front/rear parking aid and convenience key with ‘kick’ motion rear luggage door release. TCY Motors will offer the new Audi A4 Sedan with three engine variants: a 1.4 TFSI (150hp/250Nm), 2.0 TFSI ultra (190hp/320Nm) and 2.0 TFSI quattro (252hp/370Nm) all utilising the 7-speed dual-clutch S tronic transmission. Wheel sizes will range from 17”, 18” and 19” based on the respective engine variant. 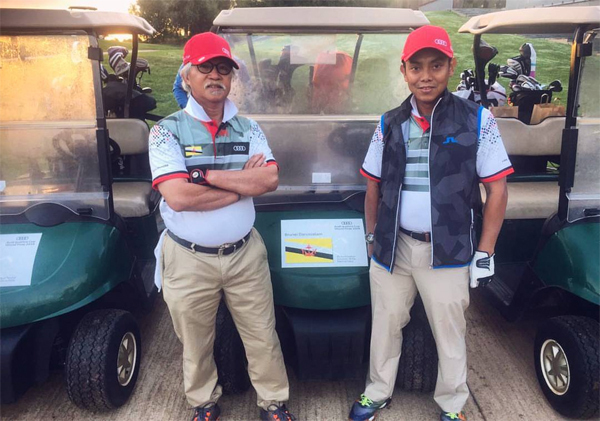 Congratulations to our Bruneian duo Pengiran Anak Hj Mohd Basheer bin Pengiran Indera Mahkota Pengiran Anak (Dr) Kemaluddin Al-Haj (right) and Lt Col (Rtd) Haji Mahmud bin Haji Yaakup for placing 12th in their respective Group B results and overall joint 24th position out of 55 teams in the Audi quattro Cup World Final 2016 in Barcelona, Spain.